Barnas påskefest = Easter festival for children. Music led by an expanded childrens’ choir, and ‘stations’ to experience the different events of Holy Week. 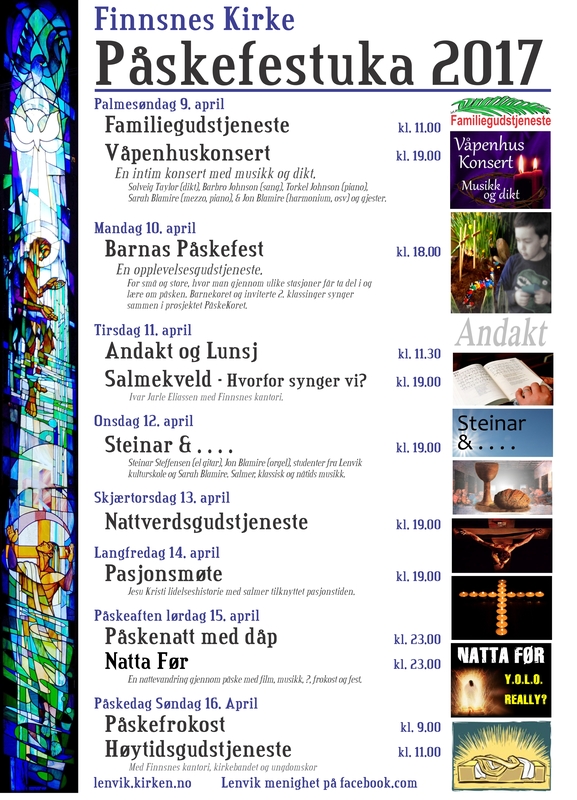 Påske høytidsgudstjeneste = Easter morning worship, with the youth and adult choirs, church band and organ. If you’re in the area, do pop in!!!! Next Next post: Happy Easter 2017!